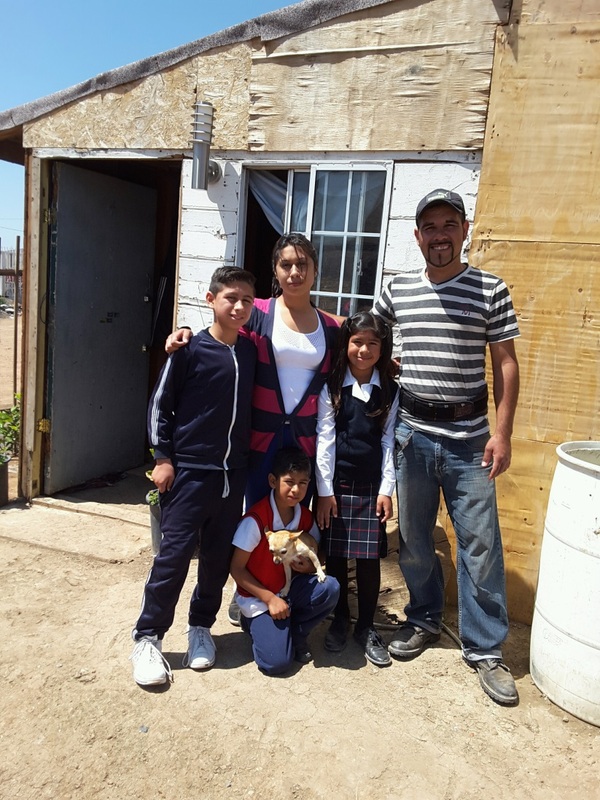 A little over a year ago, the Gonzales-Valdivia family took a leap of faith to move to a tiny plot of land on a barren landscape called Fuentes del Valle to the east of Tijuana. They moved their family to this unknown place with few possessions, but with the promise for a new life and better future. 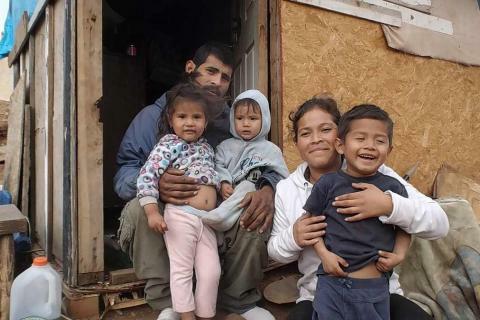 With no money to build a house, they constructed a makeshift shelter for their family to survive in. 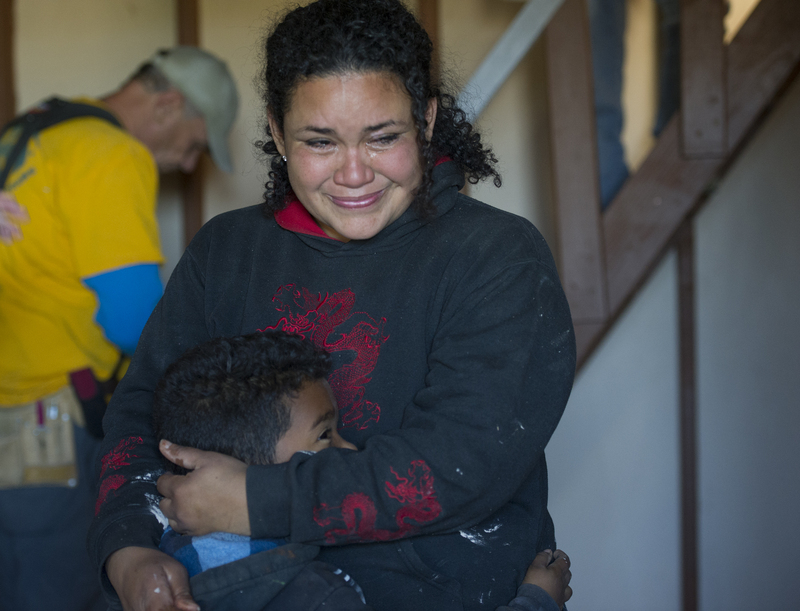 Now, International Relief Teams is building them a real house – the first house any of them has ever lived in. ‍Two local residents of Fuentes del Valle walk along the main street of the community. Yoana Valdivia, 28, met Luis Gonzales, 31, when she was only 15 years old. 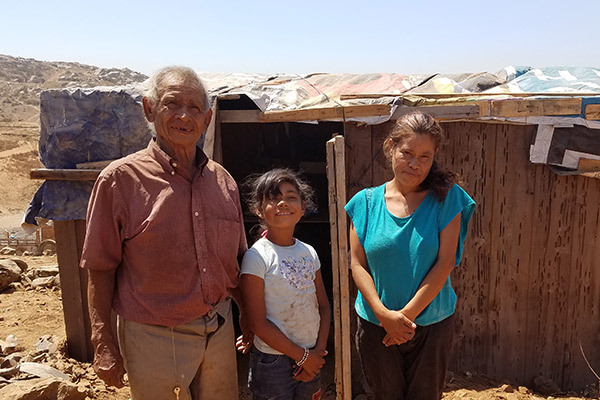 They were neighbors in a community of Tijuana, living in poverty in a country where more than half of the population live below the poverty line, without running water, electricity and access to basic services. 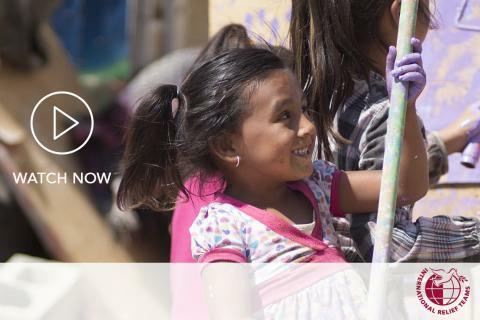 Overcome with problems with her parents, Yoana ran away from home and found sanctuary with Luis. They have lived together since then, building a family and a life together. ‍Yoana with her three children, Brandon (11), Aumari (6) and Keylie (8). 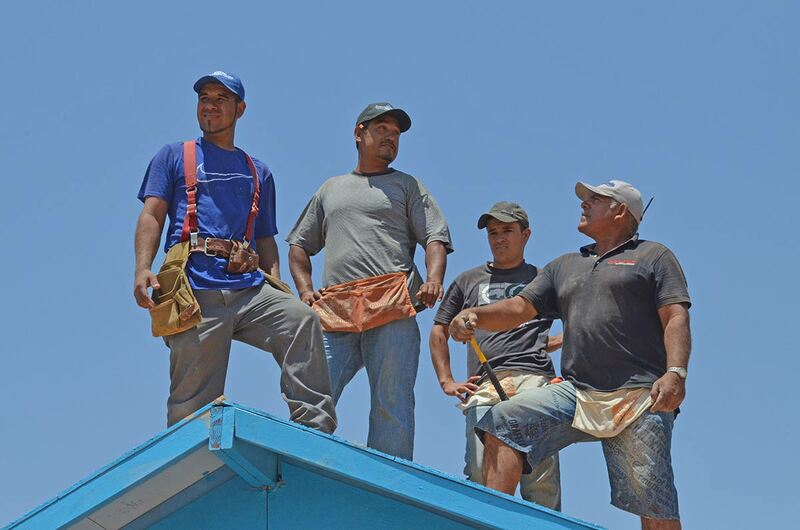 ‍Luis (left) and his neighbors stand on the roof of his family’s new home during the construction. Yoana, a housewife and mother, and her three children ages 11, 8 and 6, completely rely on Luis’ income as a travelling fish salesman. Every day, Luis loads up his pushcart with fresh catches of the day and travels from neighborhood to neighborhood, selling fish. He makes about $75.00 a week. 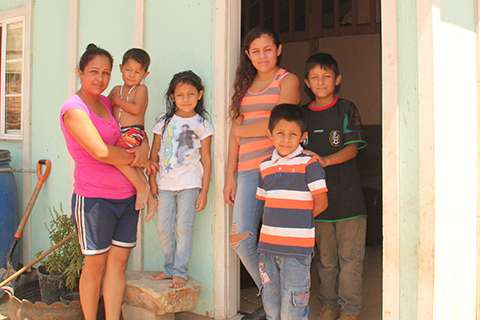 Before they moved to Fuentes del Valle, most of their money went to rent and the family had no way to save money or any hope of improving their circumstances. The Gonzales-Valdivia family was just one of several founding families of this new neighborhood named Colonia Fuentes del Valle. Together, they did their best to form a community and create something out of absolutely nothing. Yoana hated all the bugs and the snakes on their new property. 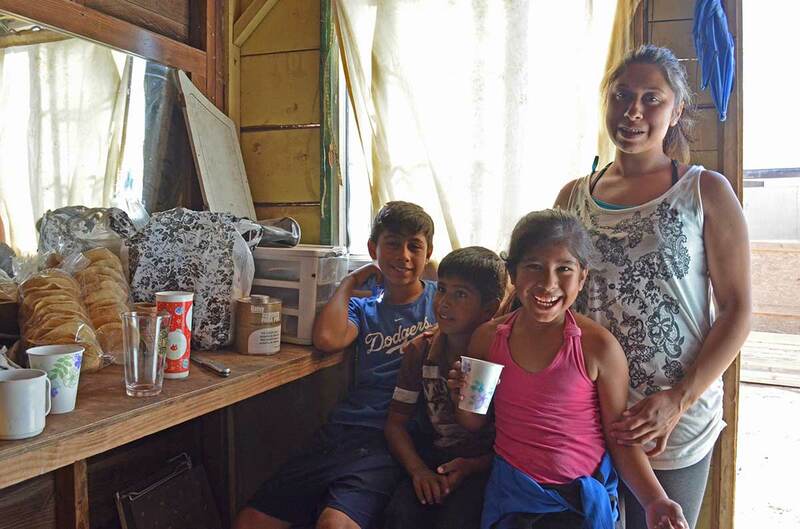 Slowly, piece by piece, Luis and Yoana built a small shack of scrap materials for their family. Just two rooms, the tiny front room has dirt floors and serves as the kitchen and the living area. 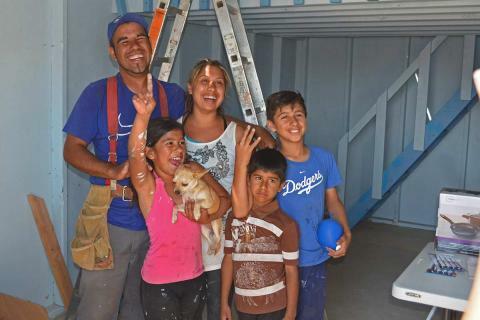 The back room is the bedroom for all five family members – with a cement floor providing a small reprieve from the dust, a bunk bed Luis built for the kids and a mattress on the floor for him and his wife. 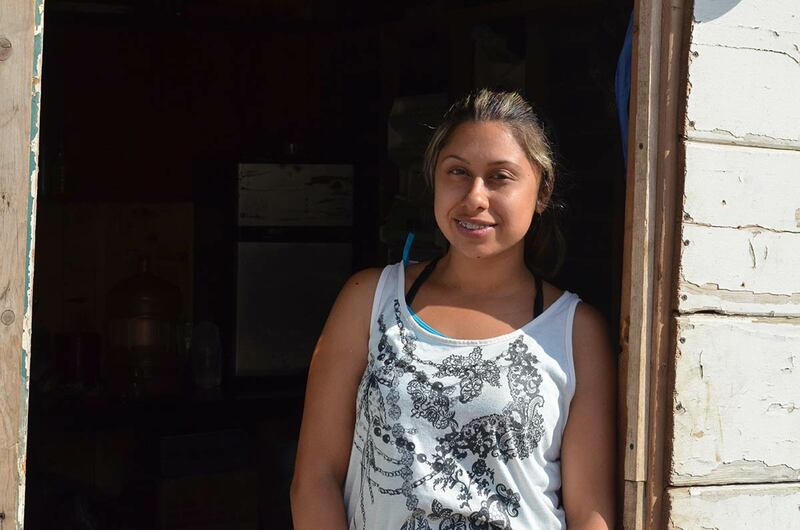 Despite the poverty, the dirt, the lack of electricity, plumbing and running water, Yoana loves living here. “It’s a beautiful community of people who have bonded together and support one another,” she says. “When one person has a problem, everyone comes together to help.” They are in this struggle united as one– trying to give their children a better future. 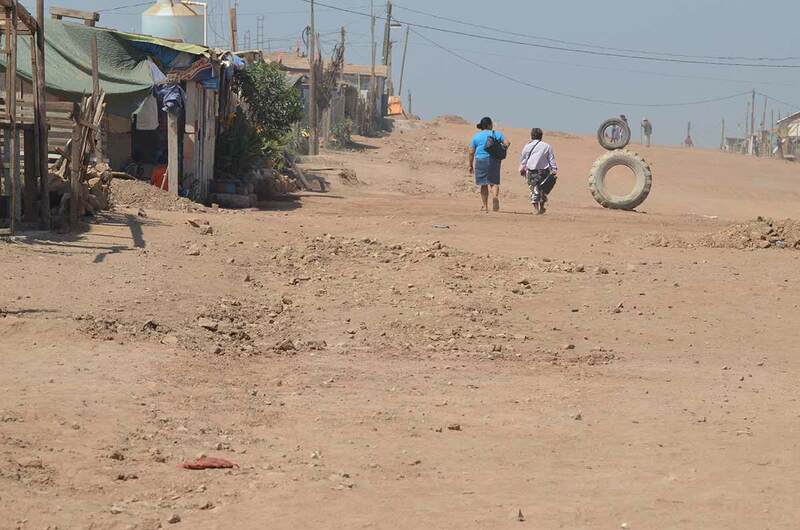 Every day Yoana walks her three children 20 minutes to the next neighborhood where they attend school. 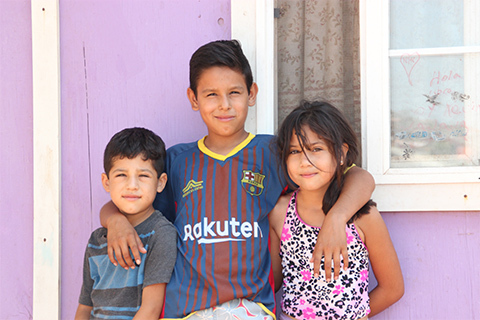 They were lucky to enroll in this school, as Fuentes del Valle does not yet have any education facilities–which has kept many families with children from moving into the neighborhood even though they might own property there. Yoana spends her time constantly cleaning, battling the dust that is omnipresent in this environment. Yoana and her eldest son Brandon are allergic to the dust, something she hopes will get better with the new house. When the wind blows, the dust envelopes everyone and everything like a Saharan desert sandstorm, and then settles into every nook, cranny and pore on the shelters and their inhabitants. 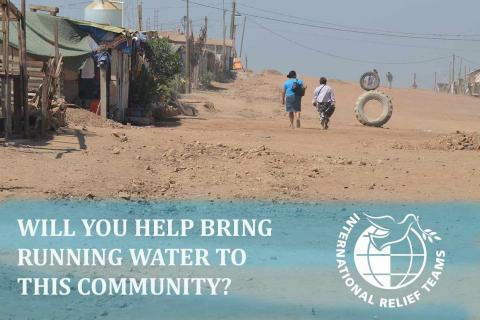 Yoana fills a large basin with water, which she buys for 10 pesos a gallon off a truck that passes by her house, to try and rid herself and her kids of the dust. 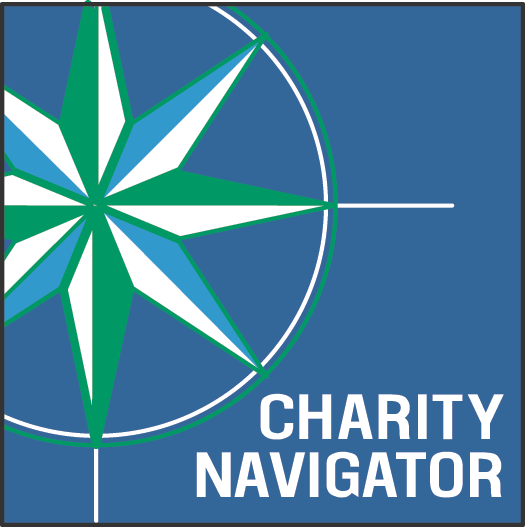 Although life is challenging for Yoana and her family, she feels they are better off than where they came from. She has hope for the future and she loves the sense of community she feels here. No matter what, she is able to put a positive spin on her circumstances. 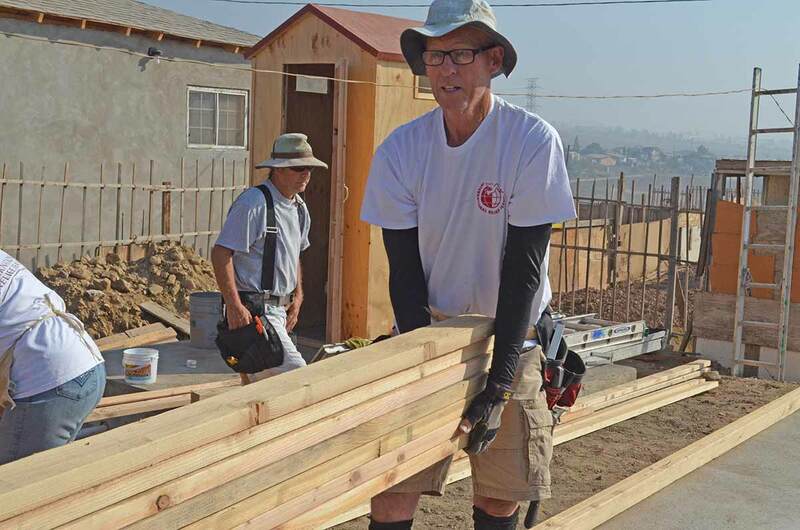 International Relief Teams has been working in Fuentes del Valle with partner organization Project Mercy to build homes for families that need it most. 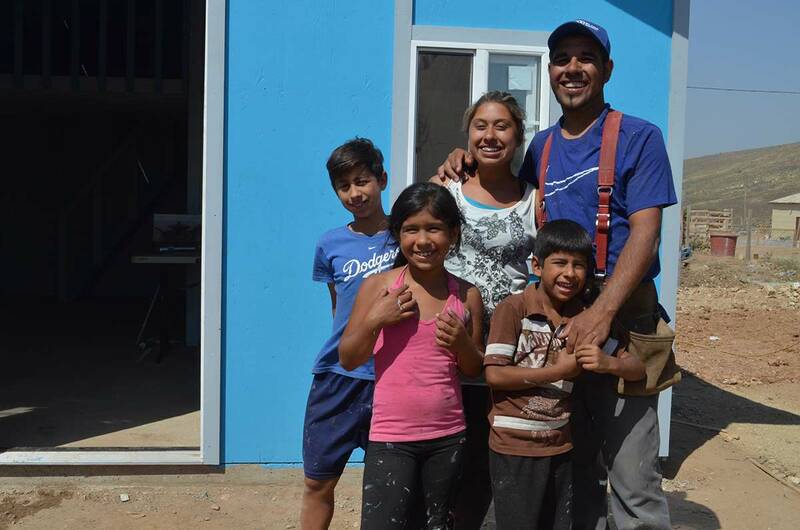 Yoana and Luis’ house is 16ft x 20ft and constructed out of wood with a concrete slab floor. It has three windows and a solid door with a lock. The back part of the house is divided into two rooms and a staircase leads up to a loft where the children sleep. Their house is painted a bright blue and the family was greeted with housewarming gifts such as new pots and pans and blankets when they moved in. ‍An IRT construction volunteer, Bob Fowler, begins the work on the house. 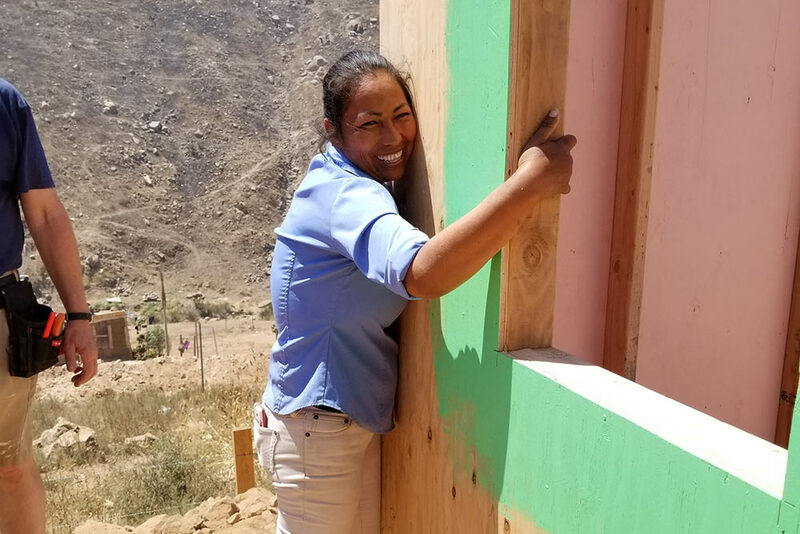 Yoana has known for a month that she would receive a new home when her community members came to help her pour the concrete slab for the foundation next to her current house. 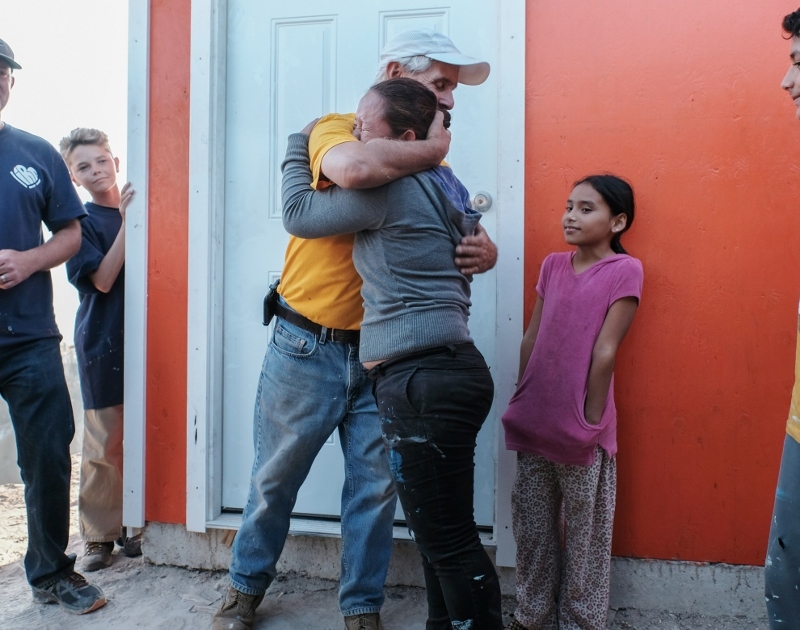 The night before IRT’s volunteer team came to build the house, she couldn’t sleep because she was so excited. Yoana says she rarely cries, but tears fall from her eyes when she recounts what this house means to her. It means her family will be protected from the heat and the cold, the dust will not so easily seep into their pores and she might have a little more time for other activities now that she won’t have to constantly be cleaning. She thinks life will be easier with the new house and her children will be more comfortable and healthier.